When it comes to protecting your family from harm, you will never find yourself in the moment wishing that you had a smaller round. 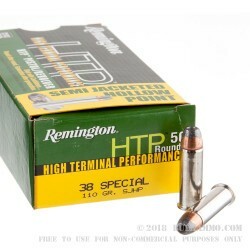 The Remington 110 grain .38 Special Terminal Performance Semi-Jacket Hollow Point is one of the most lethal self defense rounds on the market today. The Remington 110rg .38 Spl RTP SJHP derives its power from Remington High Terminal Performance engineering. 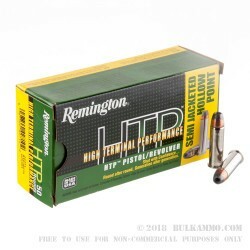 Remington High Terminal Performance rounds utilize higher chamber pressures, and semi-jacketed hollow points as to create a truly debilitating wound cavity upon impact with the target. 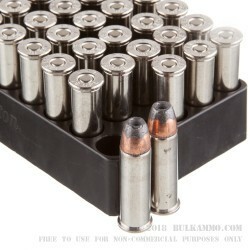 At a muzzle velocity of 950 feet per second, the semi-jacketed hollow points are capable of expanding up to twice their diameter upon impact, and leave wound channel large than the diameter of the bullet itself. 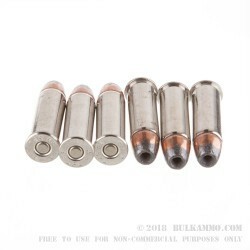 Nickel plated brass cartridges guaranteed malfunction free feeding and extraction during all courses of fire, and Remington brand primers will ignite and burn hot in even the most extreme of conditions. For revolver shooters who take the art of self protection seriously, there is no more serious round than the Remington 110rg .38 Sl RTP SJHP. A: This cartridge is not considered a +P loaded cartridge. The pressure range for standard load is quite broad and this round falls into the upper end of that spectrum.